A big hit for my 3yr-old. I liked that the page goes from easy skill-level to hard ones. The scissor is hard to use. We just used our own. My three year old is very interested in practicing with scissors. These perforated line pages are great for guiding her little hands. I will buy more for birthday gifts for her little friends. 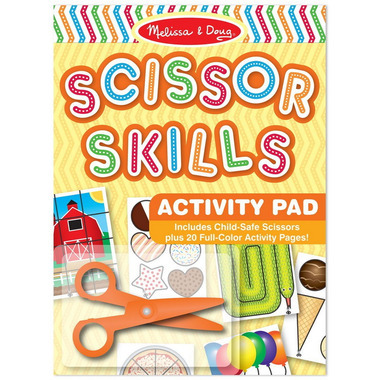 Great book to teach scissor skills nice you don't have to worry about fingers getting cut. 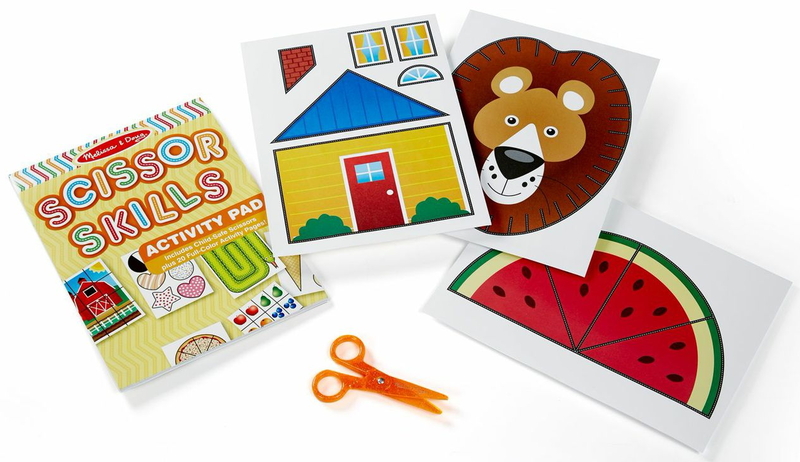 Cute activity book to teach cutting skills and work on fine motor skills. Scissors work well and are safe. Got for my 4 year old to practice. Amazing book, never had one similar. Melissa and Doug for the win. Purchased the super cute scissor set to go with it also. Great for moving from random cuts to increased fine motor skills! My 3yo really enjoyed the pictures and cutting along the lines. The scissors work quite well on paper, so they're not frustrating to use, nor are they dangerous to mis-handle. My 4 year old was so excited to open up the activity book and get started! Difficult for left handed child. Otherwise great product. Many of the cutting projects are actual crafts and or games. Lots of learning. Great for a trip as it is all included. Cute, fun activity for my toddlers. The safety scissors are great - feel very comfortable letting them use them. My 2.5 and 4 year old love cutting so this activity pad is perfect for them. They love it! My 3 year old loves the pictures, they are brightly coloured and fun. Scissors work well. Melissa and Doug never disappoint! 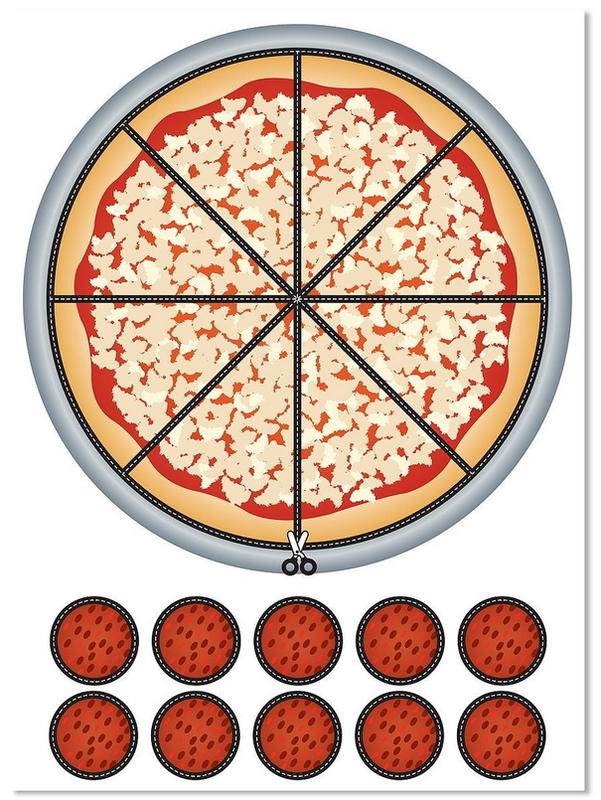 This is great, but FYI the scissors are not for left-handed children. My 3 year old loves to cut with this book and scissors are toddler friendly. My daughter loves this book and it's great kindergarten prep! She's learning to cut along the lines and having so much fun at the same time! My 4 year old loves this book! A fabulous product. As a kindergarten teacher, I often see children who need to further develop their motor skills. This is a fabulous activity that is reasonably priced... I have suggested it to many parents who ask for ideas! Its much more motivating to cut along lines for a purpose (i.e. to connect train cars, make an ice cream cone with scoops, etc) than a traditional worksheet where children cut along the lines. 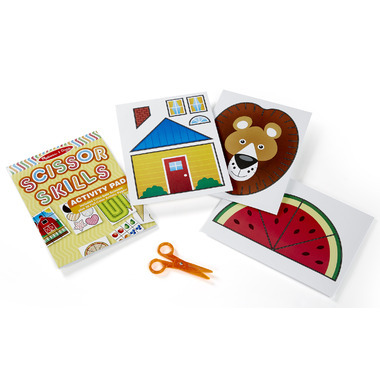 This product allows the child to progress from simple to more complex scissor skills. Upon completion of each sheet, they've generated an activity (puzzle, mask, etc) to continue the fun. My 3.5 year old loves playing with this, and I love that the end result from each page is a small toy that she can play with (instead of bits of scrap paper that we immediately throw out). This is the only product that I could find for my grandson who was told at JK that he needed more practice with scissors. I was very pleased to be able to find this at Well.ca!